The Juicero is like a Keurig for juicing. The iPod of juicers won’t be sold by Apple, but Jony Ive and former Apple exec Tony Fadell each helped design what could become the closest thing. 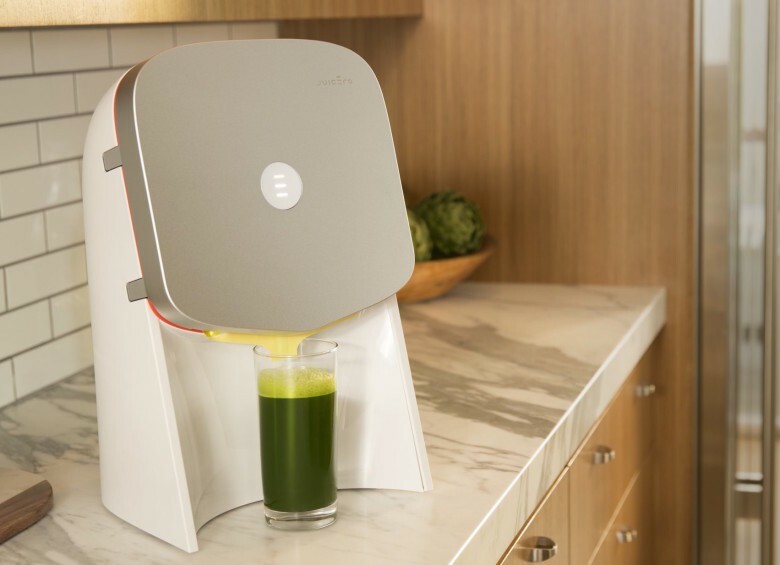 Juicero, a startup backed by Campbell Soup and Google, is launching the world’s first cold-press juicing system today, that takes the hassle out of liquifying raw vegetables by using juice packs to create a clean and simple press. Basically, it’s like a Keurig, only it spits out delicious juice.